Selling Home Can Be A Burden. Selling Your Home Can Be A Burden. So you are going to put your home in the market. Talk about adding a burden to your life, come and see it folks, any time you wish. Welcome to the interrupted life process. Even when you say no showings after 5PM, an agent with the right buyer is going to knock on your door at 5:15 and want to show the home with the client sitting in the car. It’s just not fun anymore is it? Why prolong the pain? You are putting yourself in for that if you just pick an agent based on friendship or fees. The message in this article could be called, sales prevention program#80. Not only that, if you make a decision that results in your home being on the market for weeks and weeks, even months and months, you are going to be pressured to lower the asking price or be tempted to take a low ball offer. The longer it is on the market the less you are likely to get for your home. If you doubt, that let me show you the actual, factual numbers. To illustrate my point here is an actual situation. A home is on the market, well sort of. Sorry, it is on the market I am sure in the sellers mind. The home is vacant. The listing agent is a co agent with a non MLS agent who is the owner of the home. It appears that the sharing of the listing is only to get the home in the MLS. 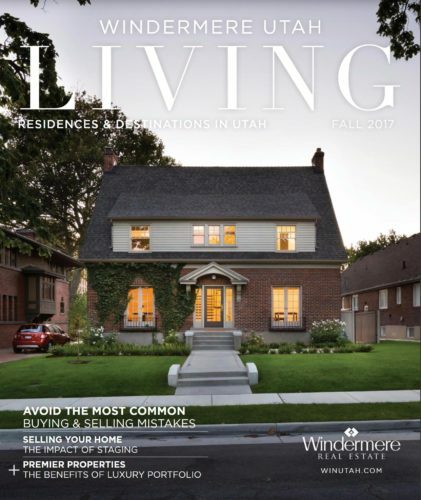 In Utah not all legally licensed agents are members of the MLS. They should be but some are not (very few). Their clients should demand that for the own protection. The MLS has important data every agent should have access to and it implements stricter ethics rules, even requires an arbitration process to settle disputes. The sales prevention program is this. There is no way an agent can show the home without contacting two agents. First the MLS agent who then refers you to the non MLS agent. So if you wanted to show the home you have two hurdles to go over. Personally, as a buyers agent, I generally want no part of introducing my client to another agent. I prefer not to have to make an appointment, although that isn’t always a practical choice. My response when this situation arises is to just move on. What is in it for the second agent? One can only guess. One guess might be to discourage a sale unless he, the second agent makes the sale. That way he gets two sides of the deal. He does hold an open house each week. He does sell some units this way. Is this the reason? If not, what else could it be? The agent knows me, if you read this my friend I welcome you to change my thoughts. Please do. But if I am right, you have a fiduciary responsibility to your seller. My assumption, if correct, puts that role in question. My approach, the right approach, is to do everything possible to shorten the time my clients homes is for sale. This way they are most likely to get top dollar and to end the seemingly long and arduous journey. Good agents do that by eliminating all hurdles preventing every possible prospect from seeing the home.